Alessandro Niccolò joined Cass in September 2015 as a PhD student. His research focuses on social issues in and around organizations. More precisely, he aims at understanding how new organizational forms, disintermediated and precarious, influence the social environment in which these companies are embedded. He is particularly interested in the effects for employees, notably in terms of precariousness or employee-employer relations, as well as how these issues can be transformed into public political debates. Empirically, he his doing a qualitative study focusing on internships in and around the European institutions in Brussels, Belgium. He is also involved in the ETHOS group of Cass Business School. As such, his research falls within organisational theory and his interests revolve around business ethics, organisation theory, economic sociology, and critical management studies. 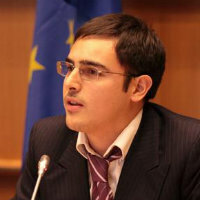 He also has experience as senior researcher of a Bruxelles-based think tank. English (can read, write, speak, understand spoken and peer review), Italian (can read, write, speak, understand spoken and peer review) and Spanish; Castilian (can read, speak and understand spoken). Business & Society, Ad-hoc reviewer, 2018 – present. Journal of Management Studies, Ad-hoc reviewer, 2018 – present. Academy of Management Conference, Reviewer for OMT and CMS divisions, Jan 2016 – present. "Logics of critical explanation": one-day workshop with the authors. Cass Business School, City, University of London (2018). Chair, Organising Committee, Review Panel and Panel Member. Invited speaker. 13th International Conference on Organizational Discourse. (Conference) Cass Business School, City, University of London, UK (2018). Invited speaker. 34th EGOS Colloquium. (Conference) Estonia Business School, Tallin, EE (2018). Invited speaker. 34th EGOS Colloquium - PhD Workshop. (Workshop) Estonian Business School, Tallinn, EE (2018). Invited speaker. Business & Society Research Seminar 2018. (Seminar) Mannheim Business School, DE (2018). Invited speaker. 77th Academy of Management Meeting. (Conference) Atlanta, GA, USA (2017). Review Panel. Invited speaker. 33rd EGOS Colloquium. (Conference) Copenhagen Business School, DK (2017). Invited speaker. Paper: How does neoliberalism reproduce in organisation? 10th International Critical Management Studies Conference. (Conference) Liverpool, UK (2017). Invited speaker. Political Economy of Management. (Workshop) SOAS, London, UK (2017). PhD school in Critical Management Studies. (Seminar) University of Lund, SE (2016). Invited speaker.